Think the Milky Way is a big place? 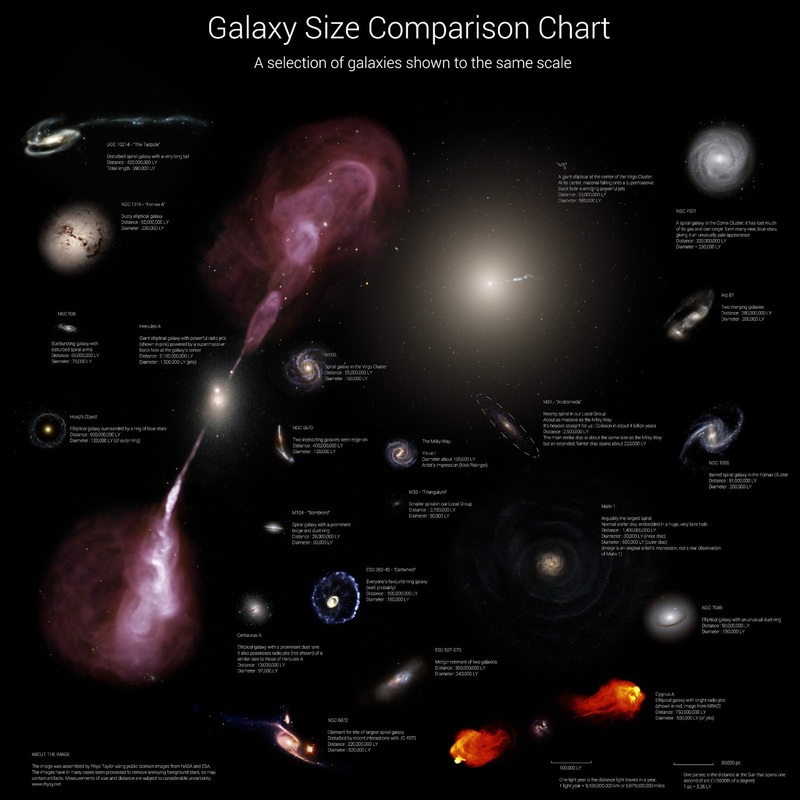 Think again — check out this graphic by Arecibo astrophysicist Rhys Taylor, which neatly illustrates the relative sizes of 25 randomly-selected galaxies using images made from NASA and ESA observation missions. It even includes a rendering of our own remarkably mundane galaxy at the center for comparison. Next Post How Far is Mars? This is a great chart! We are studying galaxies right now and this is the perfect supplement. Thank you so much!